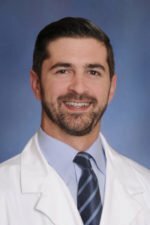 Andrew Lerman, MD is a board-certified neurologist providing expert care for patients suffering from a seizure, neurophysiological and neurological disorders in the Miami community. Combining an academic, research-based philosophy with compassionate care, Dr. Lerman’s comprehensive approach addresses the needs of his patients and families. Guided by the principles of access, availability, trust, and reliability, it is his belief that not only does a personalized approach ensure a positive relationship with his patients, it also has an important impact on the neurological course and outcome of the patients he cares for. Cutting-edge diagnostics and interventions play an important role in Dr. Lerman’s practice, reflecting the continued research, growing knowledge and innovative forms of treatment in the fields of epileptology, neurophysiology, and neurology. In addition to offering the latest diagnostics and treatments, ranging from EEG and Botox, treadmill testing to a concussion and medical cannabis for epilepsy, Dr. Lerman continues to dedicate time to research and will be carrying out studies on the use of technology in seizure detection, using smartwatches in monitoring. Previous investigative work includes brain research and bench research in gene testing at McGill University; working with patients participating in cannabidiol programs at New York University’s Langone Medical Center; and stroke prevention and gene therapy at Centre for Brain Health, Vancouver. In 2018, Dr. Lerman was a recipient of the “Physician of the Year” award by Coral Gables Hospital. The award was in recognition and appreciation for his outstanding service, commitment to quality, and dedication to patient care. It was while completing his residency at University of Miami/Jackson Memorial Hospital that Dr. Lerman’s developed an interest in epilepsy, neurophysiology, and neurology. Drawn to the fields that are by nature complex, he was fascinated by the continued progress in diagnosis and treatment and attracted by the fact that such disorders require a comprehensive approach in treating disorders, one that incorporates counseling and addresses care. It was this that brought him to open two practices in Miami, where he can serve the needs of the local community. Andrew Lerman, MD is a neurologist located in Miami, Florida. You can contact his office at (786) 655-8010.